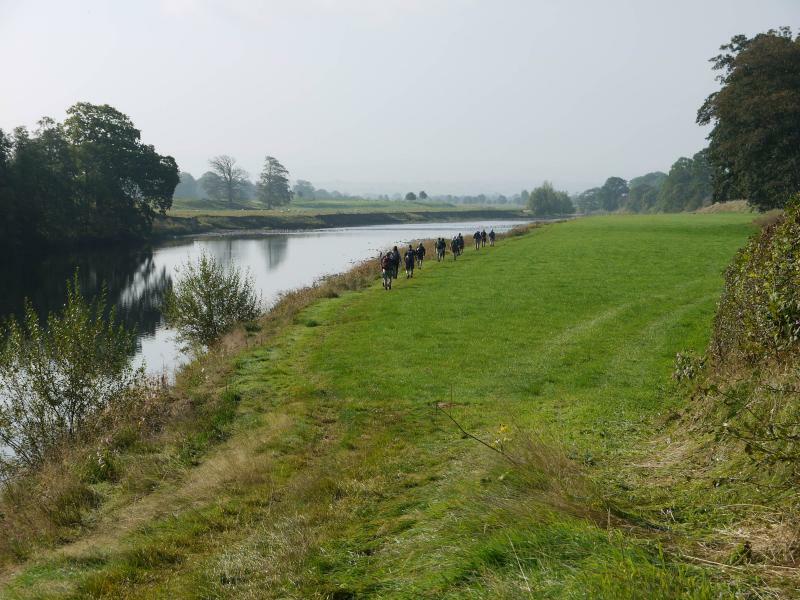 East Lancashire LDWA - An Indian Summer? 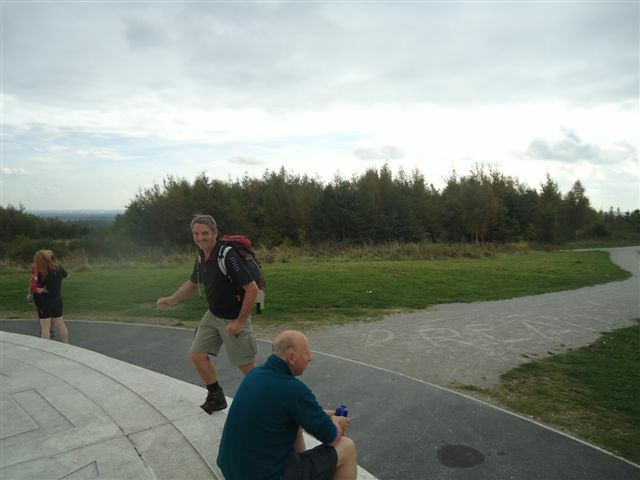 St Helens – an area we have rarely walked before!!! 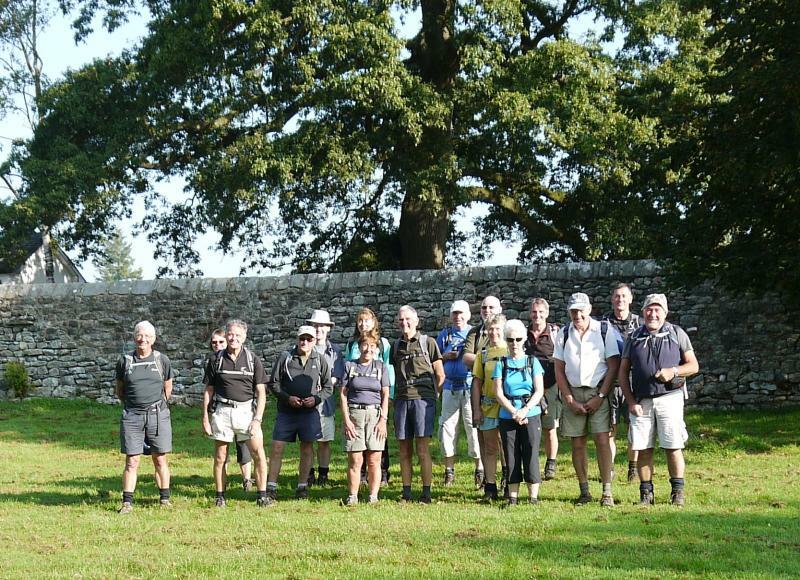 The only previous time I can recall us being there on a club event was for the start of the wonderful Lancashire Trail. 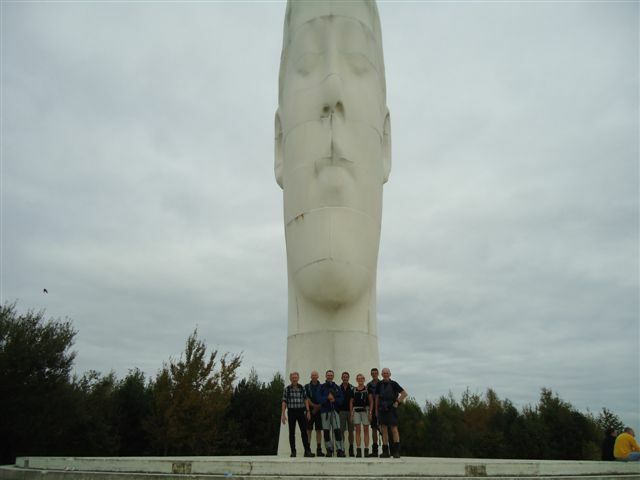 The reason I put this walk on was for us to see the breathtaking Dream statue just off the M62. On the day it certainly didn’t disappoint and we had the added bonus of seeing all the marvellous work that has been done in reclaiming and redeveloping former colliery and slag heap sites into quite beautiful parkland. We started just outside Earlestown and followed the Sankey Valley Trail along the old Sankey Canal, passing along the way what are reputed to be the first locks ever installed on a canal in Great Britain. Sadly this section of the canal has yet to be restored and is derelict but it must surely be on the near future hit list as it could be quite beautiful. Pretty soon we came onto the fringes of St Helens Retail Park, the Langtree Park rugby league ground, Pilkington Glass factory, Boots and B&Q and all the rest but it was worth it to get this section out of the way and descend into Sherdley Park with its golf course, ponds and green swathes. We had a few minutes respite and a coffee at the golf club café whilst Pete Balshaw had his obligatory bacon butty. Bob James informed us there is a small zoo in Sherdley Park but that will have to be for a future visit. Incidentally the approach to the golf club is a quite impressive Runcorn Bridge in miniature. 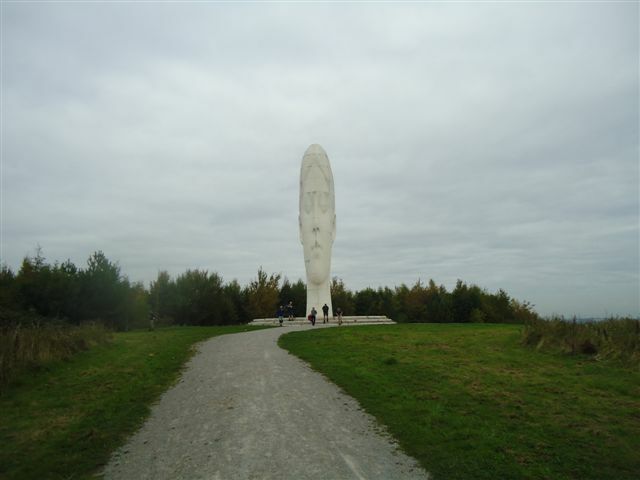 Leaving the park we headed across to the old site of Sutton Manor coalfield and colliery, now the home of Jaume Plensa’s magnificent Dream statue, a sort of emaciated, drawn-out Easter Island-type lady’s face that is quite wondrous to behold. £1.8 million was the cost and so it has to be impressive. All this land is now a spider’s web of new footpaths, benches and picnic tables, a testament to man’s efforts to undo the damage of four centuries of taking coal out of the earth. We began the loop back in to the start through the equally impressive and wonderfully named Clock Face Park, another former pit. I had thought it prudent to change the route here due to the volume of the traffic on a country lane and I apologise profusely to everyone for a little wasted detour! 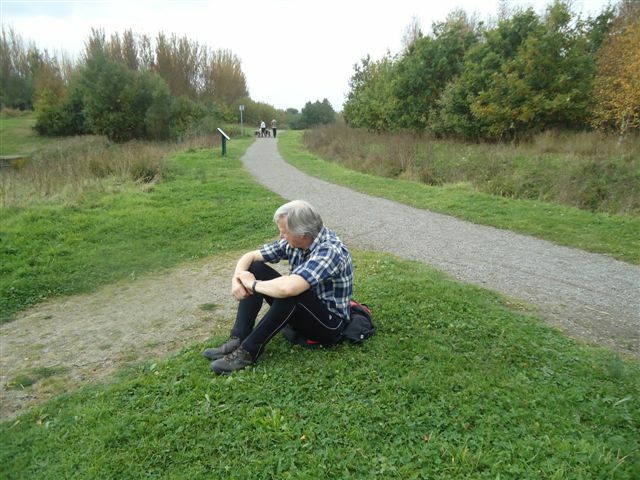 Pretty soon we were back on the southern stretch of the Sankey Valley Trail, a fully upgraded cycleway, bridleway and footpath. We still had the thrill of another wonderfully named country park, Mucky Mountains! 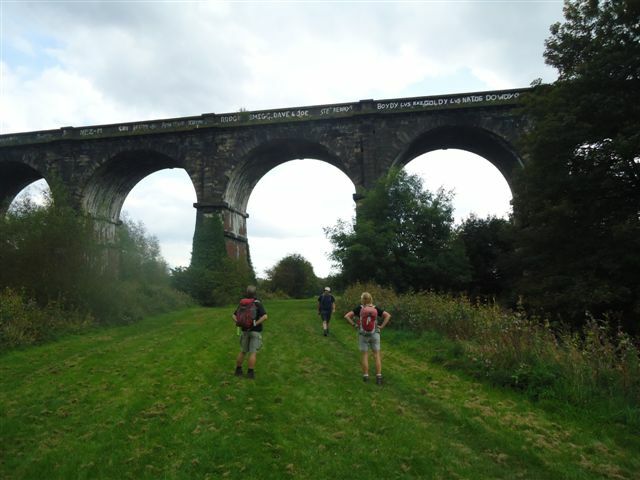 Here we left the old canal towpath and walked alongside Sankey Brook under, Stephenson’s towering Sankey Viaduct and back to our cars. Well what a start to the day : repairs on a railway bridge sent us on a 20 minute detour so a bit of a late start. 15 walkers set off including one guest from West Lancs. The weather was good but windy. 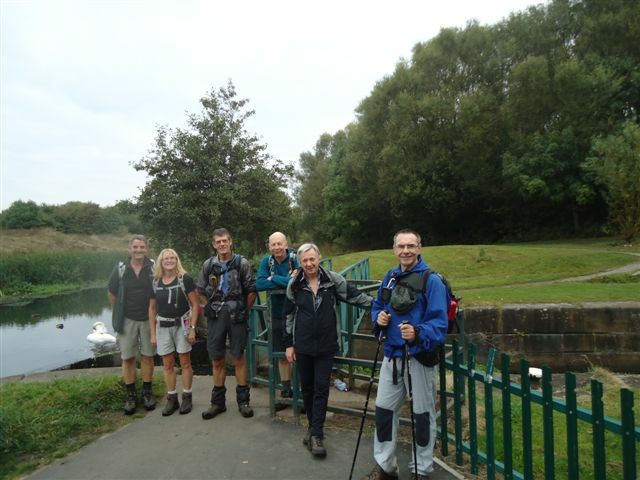 Starting from Turton and Entwistle Reservoir, we walked up to Three Lowes passing Cheetham Close on the left and crossing Witton Weavers Way and down to Dimple then passing Delph Reservoir on the right. We then headed down into Longworth Clough following the stream over a wooden bridge and onto a short steep climb to Longworth Road, across and onto our morning break before joining the Witton Weavers Way, skirting Longworth Moor to Hollinshead Hall ruin for lunch. At this point we left Witton Weavers Way, climbing up to Darwen Moor passing on the left Darwen Tower then on to rejoin Witton Weavers Way round Black Hill and on to Cadshaw, crossing the road to the dirt road above Turton and Entwistle Reservoir and onto the Strawbury Duck pub for the treat of the day then over the dam and back to the car park. 14.25 miles I think and not too many rude comments so it went well I think. Thanks to all for coming - see u soon, John. This penultimate section of our journey through Lancashire started at the Devil's Bridge, Kirkby Lonsdale after the presentation of a badge to Ian mark a special birthday!! 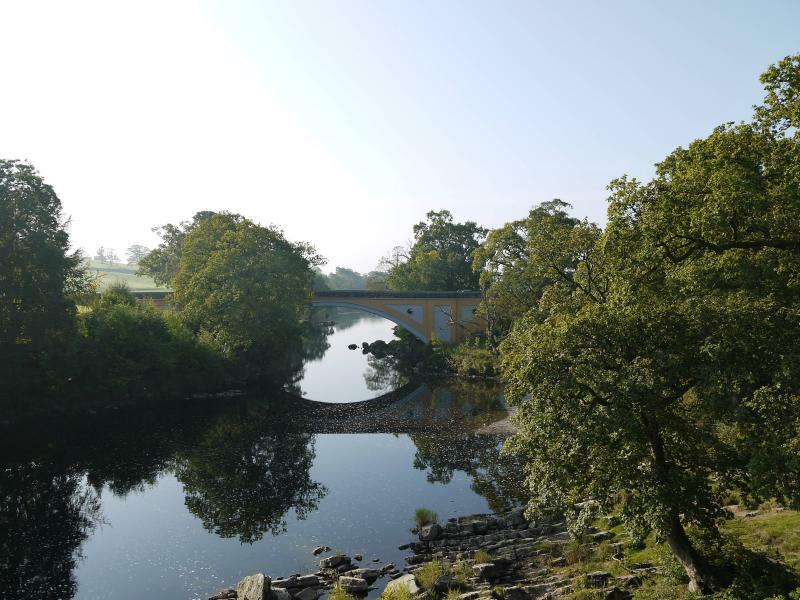 The route took us alongside the River Lune for the first 4 miles before arriving at the village of Arkholme, which sent 59 men to fight in WW1 and all 59 returned! 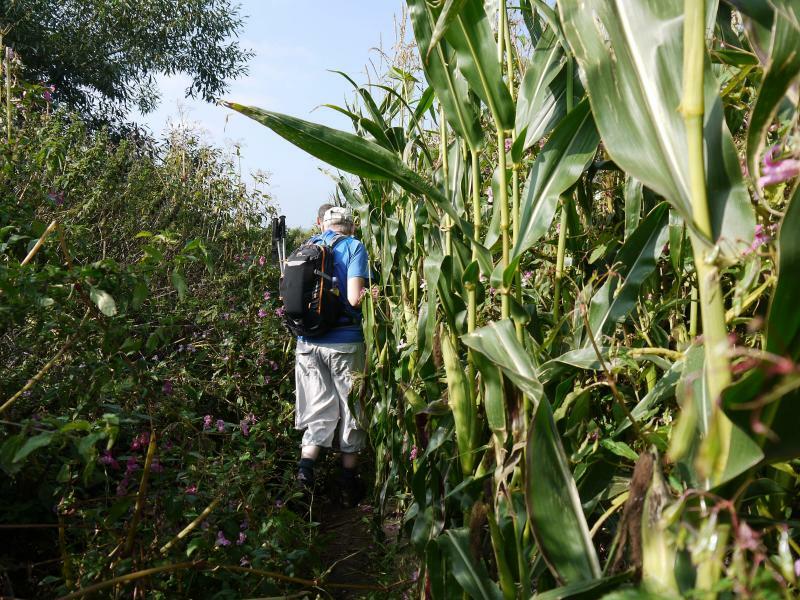 Continuing over undulating pastures we reached the hamlet of Priest Hutton and eventually the Lancaster Canal at Tewitfield. The canal locks here mark the end of the canal. There are plans to eventually open it up to reach Kendal. 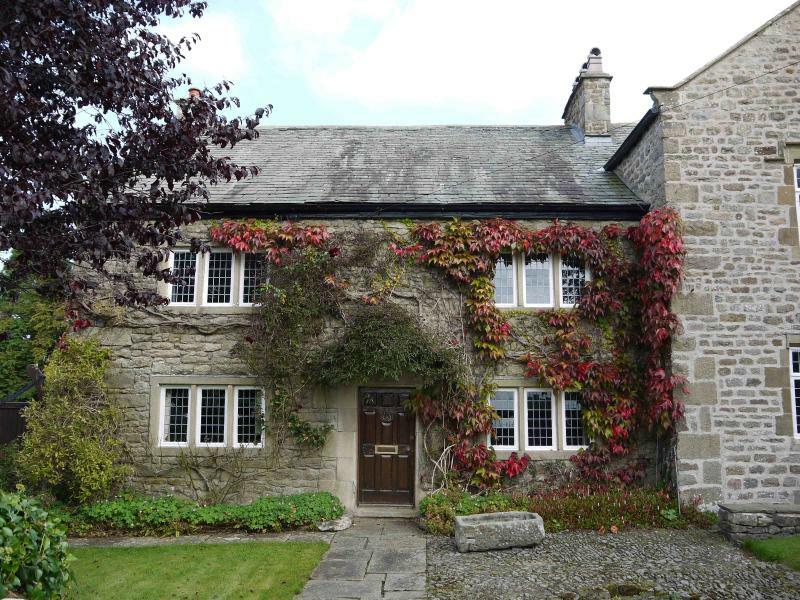 The route then took us to the village of Yealand Conyers noted for its support of early Quakerism, and then to pass Leighton Hall, the home of the furniture mamufacters Gillow, before crossing over Leighton Moss Bird Sanctuary. From here it was about a mile in to Silverdale to eventually arrive back at our cars at 4.25pm. After a change of footwear, 11 of the group spent a pleasant ½ hr. in the beer garden of the Silverdale Hotel. It was quite a picturesque route for Stage 2 of the East Lancs 100 Red Rose Route. Starting at Ramsgreave we dropped into Whalley and then on to the delightful Spring Wood for our morning stop. On our way again we crossed over Pendleton Moor and into the beautiful little hamlet of Barley were we had lunch. 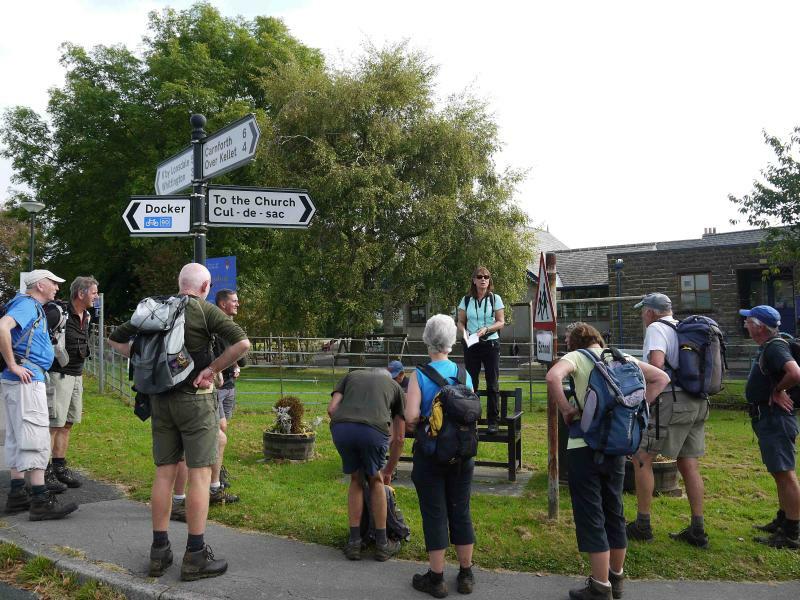 We needed plenty of nourishment to set us up for “conquering” Pendle Hill, going up the challenging way by the Nick of Pendle and descending the long way to Downham. We felt an afternoon stop was well deserved and most of us shamelessly indulged in an ice-cream. The final miles of this stage saw (thankfully) gentle undulations going past Sawley Abbey to finish at Bolton-by-Bowland.